Braj is famous for its colorful and delicious sweet and savory foods. Given the tradition of animal farming in the region, milk and milk based foods are very popular. These include sweets like peda, jalebi, mawa gujhiya, and ghevar, and milk based drinks like lassi, and saffron milk. The spicy chaats of the region include dahi bhalla, aloo tikki, papri chaat, and gol gappa. 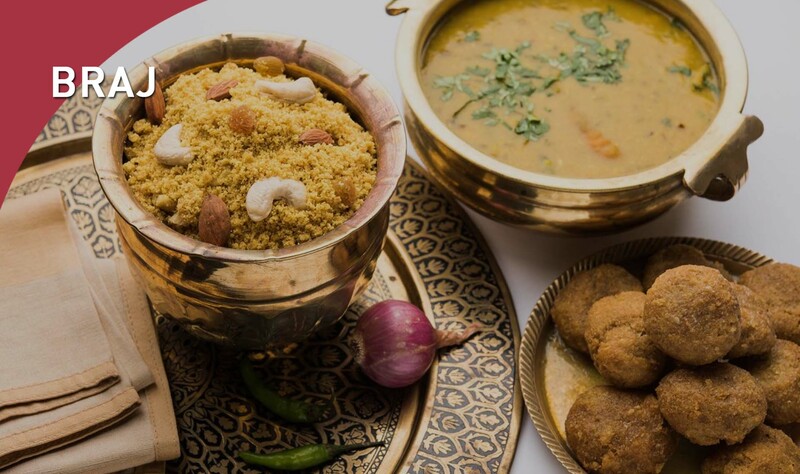 The temples and ashrams of the region serve simple, pure vegetarian meals.